Thinking you should implement some changes in your life and actually turning that into reality can be two different things. Sometimes old habits, beliefs and past experiences can get in the way of making things happen. Sometimes you are trapped trying to implement lifestyle changes within a wider family system. How do you make it all happen when you are exhausted from just trying to stay on the work/life treadmill? 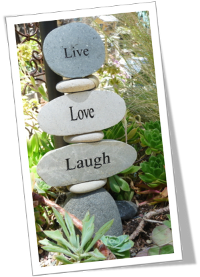 is an holistic approach to managing aspects of your life that support wellness. You may have discussed changes with your doctor but have struggled to implement those changes into your life. Maybe you just need some support to kick into gear and make things happen. Anyone who has discussed a need to make diet or lifestyle changes with their doctor can bring their challenges my way where we can set goals, adjust their mind-set, remove barriers and take action. I have been helping clients change their thinking and their behaviours for many years. My NLP coaching and experience working at Anxiety Support Canterbury and Mental Health Advocacy and Peer Support, and system change at Canterbury Clinical Network, has allowed hundreds of people to change their lives for the better. Learning new strategies to deal with anxiety, depression, stress, trauma and grief will allow you to tackle life in the way you want to. I am constantly involved in professional development. I hold a Bachelor of Social Services (Counselling) (distinction). Last year I completed my Diploma in Child and Adolescent Psychology. I have felt that this really built on my skills and knowledge as a trained teacher and NLP Master Practitioner and I am feeling confident and enthusiastic about the work I do with children and young people as well as adults. During 2017 I also undertook and completed a Certificate in Nutrition. This has enabled me to really round out my coaching skills with a sensible and holistic approach to health & wellness coaching. I have become more and more fascinated by the link between brain and body and there is much exciting research going on in this area. So often my clients feel their mental skills and health are compromised by their diet or physical health. It is a huge thrill to feel I can now enable them to instigate any changes they want or need to make in their lifestyle in a way that supports all of their goals. With teacher training, a Diploma in Child and Adolescent Psychology and as a mother of 3, I am very well qualified and suitably skilled to work with children. In particular, anxiety can be a limiting factor for experiencing life in a way that allows children to grow and flourish. Don't let anxiety limit their world - make some fun and easy changes now that could make all the difference. I am currently taking a break from private coaching and counselling due to other career commitments. If you are interested in having me take a workshop for your workplace please email me to discuss. - reduces staff absence and turnover. Email me to discuss workshops that can be tailored to meet your specific needs. Wellness Workshop Topics: Mindfulness, Supporting Wellness, Keeping Calm, and Finding Balance. Workshops can be held at your workplace to suit. "Each workshop provided a new insight and something to 'takeaway' and work on each week. Wished the time hadn't gone so quickly." - A.M.
"I found these workshops very helpful and fun." The New Economics Foundation's Wellbeing at Work Report presents evidence that people who achieve good standards of wellbeing at work are likely to be more creative, more loyal and more productive. They also provide better customer satisfaction than those with poor levels of wellbeing at work. (Retrieved from Mental Health Foundation website, May 2018). A few minutes of mindfulness every day can make discernible and lasting changes to your brain and mental health. The payoff to your physical health is also enormous. This video is about 11 minutes long and was filmed as I sat on the shore in beautiful Akaroa. Please go ahead and use it to get you in the habit then find your own mindful practice that works for you. Are you interested in my children's book? Kiwi's Intrepid Journey is a story that has been written to help primary school aged children deal with anxiety, loneliness, courage and confidence. It incorporates ideas such as mindfulness, perspectives, strengths, self-awareness, thoughts and feelings. The story follows Kiwi – at first too frightened to leave his hidey hole, and in awe of all the other birds in the bush, he undertakes an important task which allows him to gain new perspectives, break free from his fear and enjoy life. The book has been beautifully illustrated by the successful and popular North Canterbury artist, Jane McIntosh. Jane’s depictions of both native and introduced birds and critters are delightfully expressive and colourful. © Equanimity. All rights reserved.